Born in Java of Dutch parents in 1915, sent to Holland for classical art education in Rotterdam, Schoon travelled through Europe absorbing all that the new movements could offer. Upon arrival in New Zealand in 1939 he was probably the best educated artist in the country. 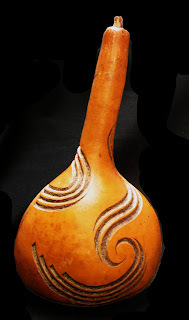 Schoon was an artist, photographer, potter, sculptor, greenstone carver, designer and an expert art researcher. He developed his knowledge of Maori design by going to the best Maori authorities. Often the only European invited by Maori to show his art and creations on their marae. He became an expert gourd maker. A number of his carved gourds are held in American museums. He researched the few Maori rock drawings that were then known, and began a time-consuming and physically demanding on-the-spot research in often isolated and deep caves. He recorded the rock drawings in his sketches and photographs. 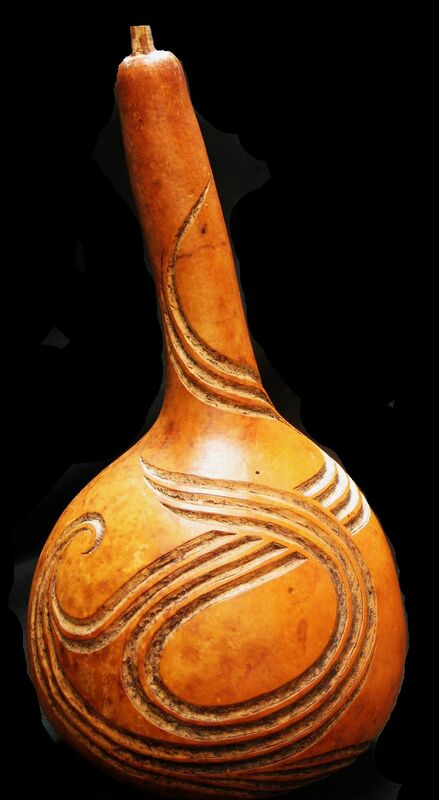 Schoon undertook intense research at the same time, in to Maori design. He assembled the designs recorded by Williams, Augustus Hamilton and J H Menzies from the start of the century, and consulted with Maori elders and Tohunga. Applying aspects of Maori design to his own art, he developed a fern root spiral which became the well-known "koru". Schoon freely admitted he had adapted Maori design & was always free with his gifts to other artists.